Although the violence in India-governed Kashmir has settled down a bit since the large surge that accompanied the elections on April 9, there is still simmering below the surface a great deal of anger – certainly on the part of the Muslims, and almost as much on the part of the Indian security forces. The picture above is a frame from a video that went viral. It shows a Kashmiri man that the security forces tied to the front of a jeep as it travels down the street. 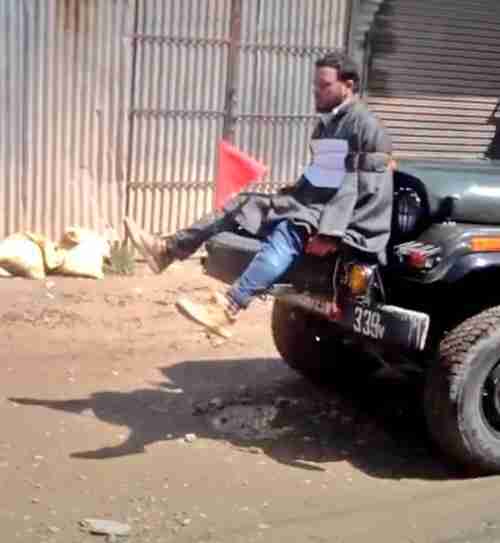 The reason given for tying the man to the jeep was to discourage Kashmiris from throwing stones at the jeep. In the video, a warning can be heard saying that stone pelters will meet the same fate (being tied to a jeep). The entire video can be seen at this Twitter address. There are many videos from Kashmir being posted these days, mostly by separatists who want to portray alleged violence by security forces. This entire video can be seen at this Twitter address. As I wrote earlier this month, from the point of view of Generational Dynamics, Kashmir is replaying previous generations of violence according to a fairly standard template. India’s previous two generational crisis wars were India’s 1857 Rebellion, which pitted Hindu nationalists against British colonists, and the 1947 Partition War, one of the bloodiest wars of the 20th century, pitting Hindus versus Muslims, following the partitioning of the Indian subcontinent into India and Pakistan. Now, as the survivors of the 1947 Partition War have almost all died off, leaving behind younger generations with no fear of repeating past disasters, Kashmir is showing signs of repeated the violence of 1857 and 1947. Stone-throwing incidents started to become frequent after July 8 of last year, when Burhan Wani, the leader of the Kashmir separatist group Hizbul Mujahideen, was killed by Indian police fire. There was a big surge in violence that continued almost daily until Winter. Security forces responded harshly with pellet guns, with the result that 1,000 people lost their vision in one eye and five were blinded. Thousands of youths have been arrested. My impression, after writing about the Kashmir issue off and on for years, is that Indians are in a state of almost total denial about what is happening in Kashmir. In fact, just a couple of months ago, I spoke to an acquaintance who had been born in Kashmir and lived there as a child. I asked him what he thought about the growing violence in Kashmir. He said that it was nothing – it had happened before in the 1990s and would die down again. 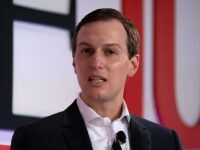 Of course, he did not understand that in the 1990s there were still plenty of survivors of the 1947 war still around who made sure that it did die down. Based on my readings of India’s media, I’m seeing something different, signs that Indians are becoming aware of how dangerous Kashmir is becoming, and that things might get a great deal worse. The answer is not using the Army, the armed forces and the police force. The answer is not a muscular Kashmir policy. The answer is to engage with all stakeholders. 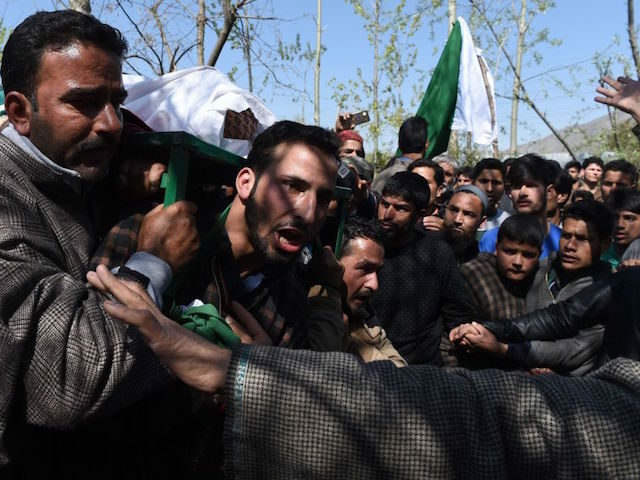 The Valley is seething – the deaths of teenagers and the presence of those blinded by pellet guns are a constant spur to maintain political purity and distance from India and those working for its institutions. Ordinarily, this would alarm Delhi as there’s a palpable loss of control and India’s image abroad at stake. But the Centre appears unperturbed and is maintaining its aggressive line. There has been no real regret about civilian casualties; instead home minister Rajnath Singh has ominously suggested that India “will see a transformed Kashmir in a year. No matter how the change occurs, one thing is certain, that there will be a change in Kashmir in a year’s time.” He also said those pelting stones “will have to face the consequences.” In February, army chief Bipin Rawat warned youth in Kashmir saying “those who obstruct our operations during encounters and are not supportive will be treated as overground workers of terrorists. They may survive today but we will get them tomorrow. Our relentless operations will continue. These quotes from New Delhi officials are totally delusional and will lead to disaster. However, they show how strong the sense of nationalism still prevails over common sense. It is an unmistakable sign of the corrosion of Indian democracy that an odd combination of illusions and nauseating bravado is being spun in Delhi around the grim political situation in Kashmir. Every element of Indian policy in Kashmir lies in tatters. And yet, instead of asking forthright questions, our denial goes deeper. Kashmir now seems to be going from a deep and violent conflict to a state where there seems to be a death wish all around: Security forces with no means to restore order other than by inflicting death, Indian nationalism now more interested in showing machismo than solving real problems, increasingly radicalized militancy with almost a touch of apocalyptic disregard for life, foreign powers fishing in troubled waters, scores of young men and children even, who are making a statement that courting death seems a better option than what they regard as suffocating oppression. They are all feeding off each other.